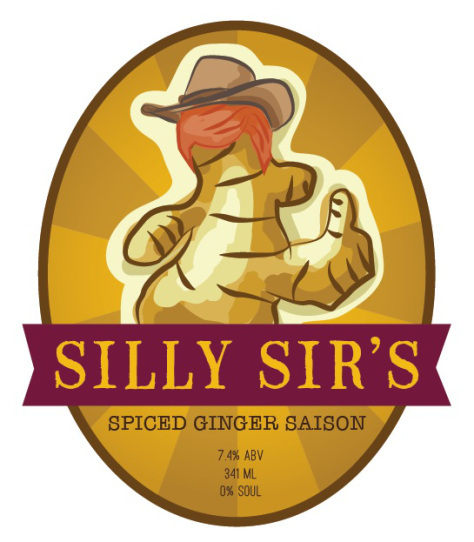 Silly Sir Brewing Co.Beer Labels Archives - Silly Sir Brewing Co.
January 22, 2016 - No Comments! It is ready: Silly Sir's first saison! Saison beers are typically consumed during the summer, and are usually: highly carbonated; moderately high in alcohol; light to moderate in colour and bitterness; and full of beautiful esters that impart distinctive notes of banana, cloves, and spice. If this sounds like it's your jam, contact me and I'll let you test one in exchange for critical feedback. The distinctive aromas of this beer form due to the warm temperatures required for optimal fermentation by this particular strain of yeast. This beer fermented at around 88F for about a month which is a much higher fermentation temperature than most yeast strains are used to. 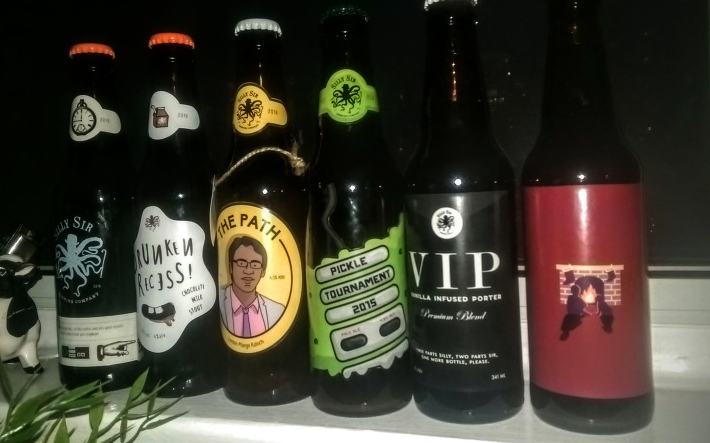 As promised, here is part two of my post which where l explain the brewing and design choices behind the Silly Sir beers and labels. Today we have: Pickle Tournament beer, Vanilla Infused Porter, and our Cranberry Juniper Stout. It seems every time I mention the words "Pickle Tournament", I am met with looks of utter confusion as people attempt to process what they just heard. 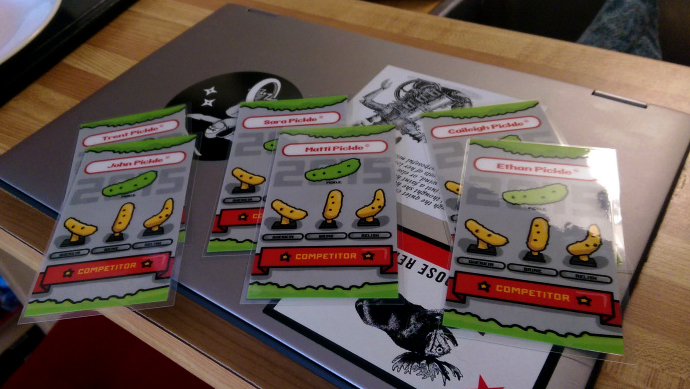 The annual Pickle Tournament is exactly as it sounds - a gaming tournament dedicated to upholding the integrity of, and respect for... pickles. Sara reminds me that I say this every time, but this is my favourite Silly Sir design yet. I wanted to create something that was intimate and captured the spirit of Christmas. The vectors are small but the negative space creates a sense of stillness. 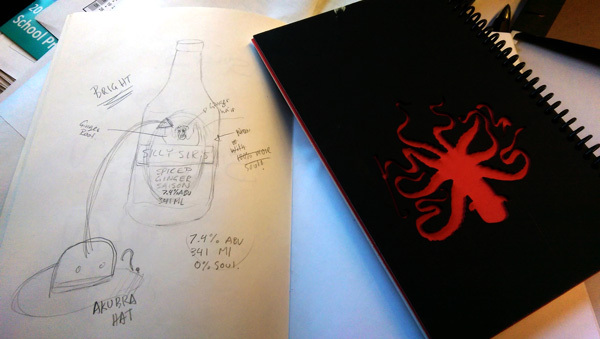 The Silly Sir packaging is admittedly further ahead than the consistency of the beers, and I am very proud of the designs so far. Without Sara to execute my vision, and offer her impressive design insights, the Silly Sir brand wouldn't be as established as it already is.